Laminate, laser die cut and remove matrix in a single pass. User-friendly and affordable off-line or near-line label finishing. Laser die cutting has never been easier. Create custom shapes and sizes with the 2800 Series Mini Laser. Eliminate the costs and time-consuming process of sourcing custom dies or ordering, stocking and managing pre-die cut materials from outside vendors. 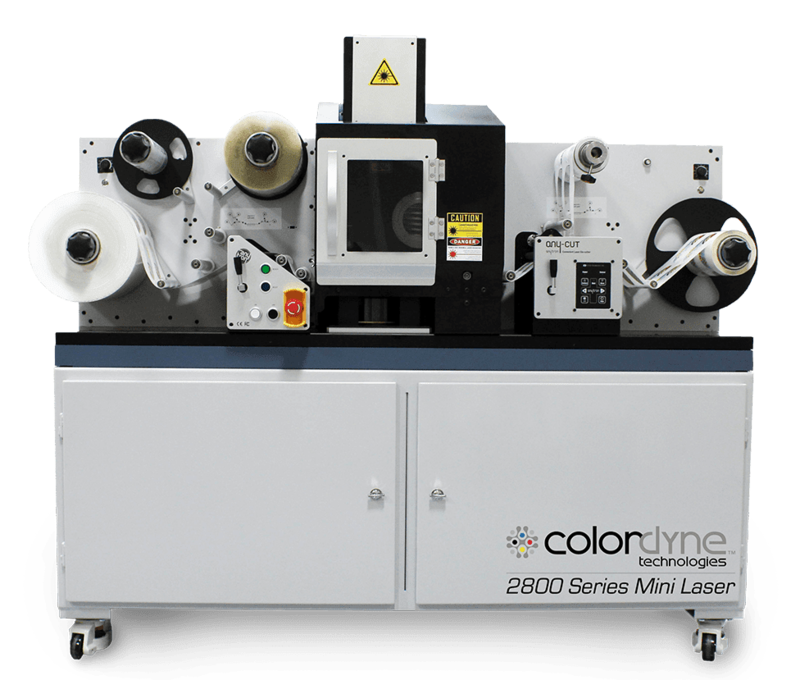 With the 2800 Series Mini Laser you can laminate, laser die cut and strip your labels’ matrix all in a single pass. This roll-to-roll finishing system is ideal for short run label production requiring greater flexibility and on-demand capabilities. Take control of your brand by creating custom finished labels in-house, on your schedule.